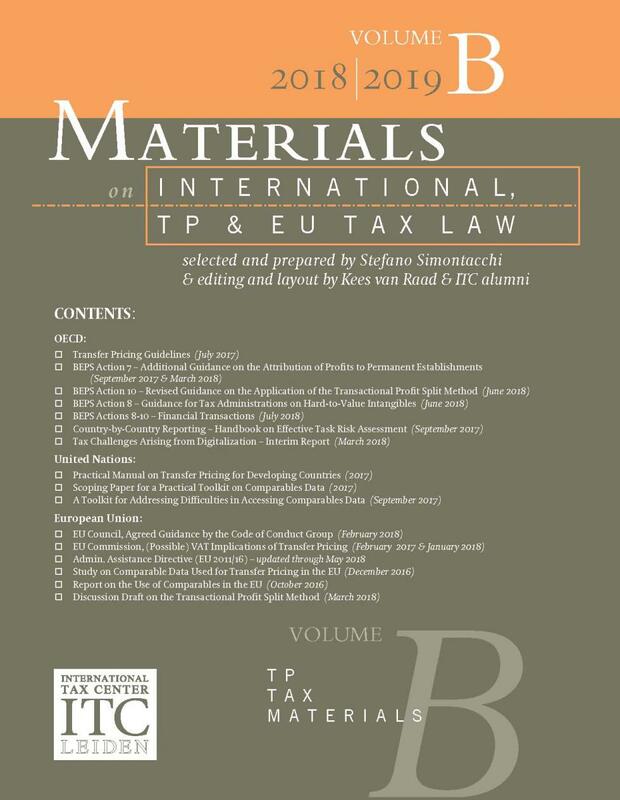 Volume B includes the most relevant texts with regard to transfer pricing – an area of rapid growing interest. 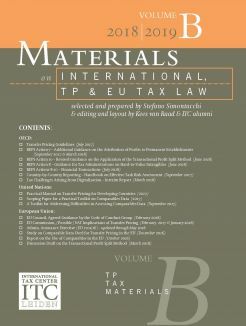 In addition to a comprehensive series of OECD documents (including, of course, the 2017 version of the Transfer Pricing Guidelines), this volume also covers the UN Practical Manual on Transfer Pricing for Developing Countries (2003), various EU documents (including reports of the Joint Transfer Pricing Forum) and the US Regulations on Sec. 482. More information can be found on the ITC website: https://www.itc-leiden.nl.